While it's not Qualcomm's most powerful chipset to date, the Snapdragon 808 is certainly no slouch, either. It's got a 64-bit six-core CPU (with two ARM Cortex A57 cores and four ARM Cortex A53 cores) that can power high-end devices hassle-free, and without the overheating issues that marred the reputation of the octa-core Snapdragon 810. Its GPU - Adreno 418 - is also pretty good, although it's obviously less capable than Snapdragon 810's Adreno 430. All in all, it's no wonder that the 808 was chosen by some smartphone manufacturers to be at the core of their latest flagships. Of course, the chipset was also selected to power non-flagship devices. If you're curious to know which handsets are relying on the Qualcomm Snapdragon 808, you can check them out below, in chronological order. 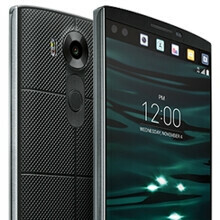 Announced and released in late April, the LG G4 is the world's first smartphone to use a Snapdragon 808 processor. Paired with 3 GB of RAM, the 808 provides an overall smooth performance, even if the G4 (which is LG's current flagship smartphone) sports a big 5.5-inch display with 1440 x 2560 pixels. According to LG, the company decided to use the Snapdragon 808 inside the G4 since last year, and this wasn't related to the fact that the Snapdragon 810 had overheating issues. The G4 can currently be bought for under $500 off contract. Here we have another flagship smartphone that's powered by the Snapdragon 808: the Motorola Moto X Style, known in the US as the Moto X Pure Edition. Just like the Moto X from last year, the Moto X Pure is highly customizable, and runs near stock Android. However, the new handset comes with serious upgrades: besides the six-core Snapdragon 808 processor, it features a 5.7-inch Quad HD (1440 x 2560) screen, 3 GB of RAM, a 21 MP rear camera, a 3000 mAh battery, and so on. Prices for the Moto X Pure start at $399.99 (unlocked). Motorola Moto X Pure unboxing. Announced at the end of last month, the Xiaomi Mi 4c is the cheapest Snapdragon 808-based smartphone to date. Even so, its features are more than decent, including a 5-inch 1080p display, a 13 MP rear camera, 3 GB of RAM, 32 GB of storage space, and a 3080 mAh battery. At the moment, the Xiaomi Mi 4c is available to buy only in China, for prices starting at around $205. The Nexus 5X is Google's newest relatively compact smartphone (running Android 6.0 Marshmallow out of the box). Officially unveiled at the same time with the larger and more advanced Huawei-made Nexus 6P, the Nexus 5X is manufactured by LG (just like the Nexus 5 from 2013 and the Nexus 4 from 2012). While the Nexus 6P is powered by a Snapdragon 810 processor paired with 3 GB of RAM, the Nexus 5X relies on a Snapdragon 808 and 2 GB of RAM. The 5X further features a 5.2-inch 1080p display, a 12.3 MP rear camera with laser auto focus and 4K video recording, LTE, fingerprint scanner, and a 2700 mAh battery. The Nexus 5X can be pre-ordered for prices starting at $379, and will be shipped later this month. If the Xiaomi Mi 4c is the cheapest Snapdragon 808-based handset to date, the LG V10 will likely become the most expensive one. Announced by LG last week, the V10 is certainly not your everyday smartphone. The handset sports a main 5.7-inch Quad HD display, plus a 2.1-inch ticker screen that functions independently and can show notifications, app shortcuts, and other things. The V10 also comes with a dual front-facing camera (for 120-degree selfies), a 16 MP rear camera, 4 GB of RAM, 64 GB of expandable storage space, and a 3000 mAh battery. Moreover, the smartphone is pretty tough. The LG V10 will be available starting next week in South Korea, and later this year in the US and other markets, costing around $600 unlocked. It has far more style than the Style. Wtf is going on with Phonearena??? I've noticed they've been deleting articles lately that criticize certain companies. I went to comment on a article about the Snapdragon 810 ruining another otherwise decent phone (experia Z5) from Sony that I read on PA last night only to find it has disappeared! This has been happening a lot! Anyone know Wtf is going on? PA Had The Info In That Article Wrong, Apparently The Sd810 Isn't Overheating In The Z5C After All. That's Why The Article Got Taken Down. As Far As Other Articles Go IDK Why They Were Taken Down. A dog sh*tting and Apple. Nice. I like the look of the V10, but it's totally not worth any premium over the G4. Tell That To Samsung Who's Next Phone Will Most Likely Have A More Powerful Soc Than The A9. And The A9X Will Get Stomped By Whatever Microsoft Puts In The New Surface Pro 4. Agreed, But. The Cheapest Surface Pro 4 Model Will Probably Have Similar Benchmark Scores As The iPad Pro (Like The Air 2 And i3 S Pro 3) But The i7 Version (I Know Completely Different Price Range) Will Destroy The iPad Pro No Problem. It Is Far Cause Last Year's Air 2 But Up Some Close Scores Compared To The i3 Version Of The S Pro 3. They Have Similar Price Tags, Both Are Considered Tablets. It Would Be Unfair To Compare It To The i7 Version Of The S Pro 4 But Hey I Can Do That To If I Want (Post 23) Cause They're Still In The Same Category LOL. You are correct. These guys keep comparing a laptop with a tablet. Surface, are just want to be tablets, but their guts are those of a laptop. what happened to your chin snakeboy? This is a new feature of your's after getting iphone 6s? PA I'd like to see you testing new SD810 devices for overheating (mainly the Z5 series) instead of relying on unreliable "sources" and "reports"
Z5 compact does not overheat. The video they posted as a prove has already renamed to " Phonearena linked video without proof, not caused by overheating!" Here is the link of the videohttps://www.youtube.com/watch?v=z0zVwq7CC3Q And read the video creater comment. He himself said there is no overheating issue. Each day i see more proof on how biased Phonearena is or at least some of its editors are. I guess it's about time i switch back to gsmarena. on a second note i think they removed their post about the z5c overheating and they republished the Z5 dxomark score article. The damage is done. Especially to Phonearena's reputation as a tech site. Now that Video unloader himself said how PA tried to damage Sony's reputation without any proof is a testament of Phonearena's poor research and news quality. First they remove the article about Z5's dxomark rating because Z5 series is getting too much attention. Then This fake fews to damage Z5 reputation. You don't have to be a genius to figure out whats happening here. i need review of nexus 6p... i have snapdragonophia. Too bad this doesn't use the Adreno 430 GPU or even the 420 in the SD805. The 805 is a better choice, even though it's not 64-bit. I'd take a throttled 810 over the 808. The 808 has midrange-like GPU. It's a shame how Snap Dragon drop the ball this year. Hope for better things next year.